"The Catalyst team see the success of our portfolio companies as a top priority, and we will work hard to facilitate collaborations with the various Samsung businesses." 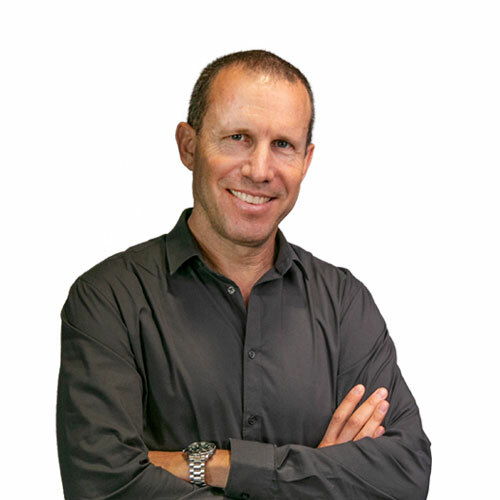 Amit Shofar is an Investment Principal at Samsung Catalyst Fund, part of SSIC, Israel team. Prior to Samsung, Amit spent 10 years as VP Business Development at Discretix (acquired by ARM), an embedded security provider for the mobile and semiconductors markets. Before Discretix, Amit was in charge of technical services at Trivnet (acquired by Gemalto), a commerce platform provider for telecom operators. Amit has BA in Computer Science and Management from Tel Aviv University. Samsung is a massive platform with access to the best technologies, but we realize that it can be a hard partner to deal with; Samsung Catalyst team helps our portfolio navigate and optimize their interaction with the various business units in order to achieve fruitful mutual collaboration. Star Wars! Because it opened the possibilities to imagine anything, and at the end the (good) underdogs are always winning over the evil empire.